Our office staff is available to assist you with orders 6 days a week. 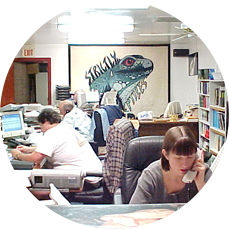 We do our best to satisfy our customers with quality animals and wholesale reptiles shipped correctly. Shipped 6 days a week. Place your domestic order before 3:00 pm to have it shipped that same day. We ship Priority Overnight Door-to-Door Service for Weekday Arrival. Direct signature is required. Someone must be available to sign for the package on first attempt delivery or else all guarantees are void. Saturday delivery service is an additional $18.00, if available to your address. Check the option box in your shopping cart. Mammals and Venomous must travel Air Freight to your airport for cargo pick up. Call to order for these. Shipments sent prepaid with the following credit cards/debit cards: VISA, Mastercard, American Express. Bank transfer or deposit to our account is also available. PayPal available for domestic orders as Goods & Services. 1. We answer our telephones. We are here 6 days a week for you, by phone or by email. We will always answer during business hours. 2. We have over 30 years experience in the Reptile Business. 3. We don’t guarantee the lowest price. We don’t guarantee the finest selection. We do guarantee to try our best to supply quality animals and services. 4. We guarantee to pack and ship the animals ourselves, from our own facility. 5. Our staff doesn’t just take care of the animals, but we are compassionate about them. We have staff that breed and raise their own reptiles. 6. If you have a problem, we want to hear about it. We want to help you to the best of our abilities. Our expert staff has over 30 years experience in exporting live animals and reptiles. We have the know-how and the ability to process your orders quickly & correctly. Supplying zoos, pet stores & hobbists with quality reptiles and amphibians worldwide. We have more than 300 varieties of Reptiles, Amphibians & Exotic Mammals ready to ship. All orders must be prepaid before shipping. Payment via bank transfer is best. Credit cards can be used by established customers, or with reference. The faster you get the money to us, the faster we can process your order. No export service to: Mexico, Guatemala and Honduras. Shipments depart Miami International Airport, Monday – Friday. Deposit is necessary before applying for CITES permit. Do you have a Question about an International Order? 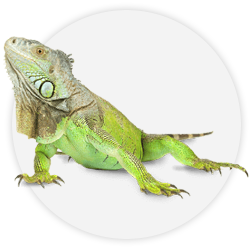 Whether your need is one iguana or hundreds, Strictly Reptiles, Inc. is your best source. Sun-raised the natural way on our professional farms, our iguanas are strong and conditioned for the pet trade or for your farm. Sizes range from newborn hatchlings to large adult breeders.